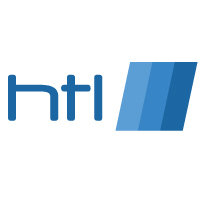 Leading IT Support Company, HTL Support, has acquired Serviced Cloud – the long-established private Cloud Company. LONDON, UNITED KINGDOM, November 1, 2017 /EINPresswire.com/ -- HTL's recent expansion has played a key role in the Serviced Cloud merger. The two companies have worked closely together for many years in what has been described as a natural partnership, providing a bespoke service for large and small business. The merger represents a formalizing of the business arrangements, yet will be seamless for the special relationship with customers. There has been no disclosure relating to the costs to HTL in taking Serviced Cloud under its umbrella. HTL, a prominent London-based IT services and support company, picks up Serviced Cloud as part of the company's expansion strategy to meet the increasing demand for their services in both the international and local market in the London area. HTL's director states, "The transition will be seamless. Clients of both companies will see no difference in the service they receive. We have been working together in many business areas for a number of years and have the same customer ethos. Our customers' needs are paramount and this merger is testimony to the demand for and growth of our services"
"This merger will allow existing customers of each company to access additional services and the growth in staffing will allow us to process demand at an even faster rate than is already an established part of the HTL brand." Remote IT services and support. Network and Data Cable setup and restructuring. VoIP system service setup and support. Microsoft Office services and support. IT equipment services and support. IT Consulting and Cyber Security Services. These options will be enhanced by the HTL expansion, with an extended team of staff and additional skills added to the business. The company is keen, not only to deliver to the growing demand for its services but to explore untapped markets in the London area.